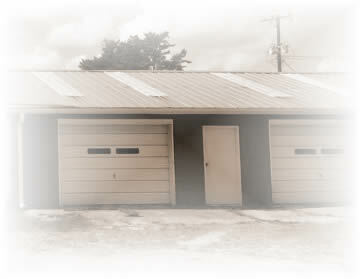 Cotton Owens Garage : The Official Website of Cotton Owens Garage and Home of the Racing Dodges. 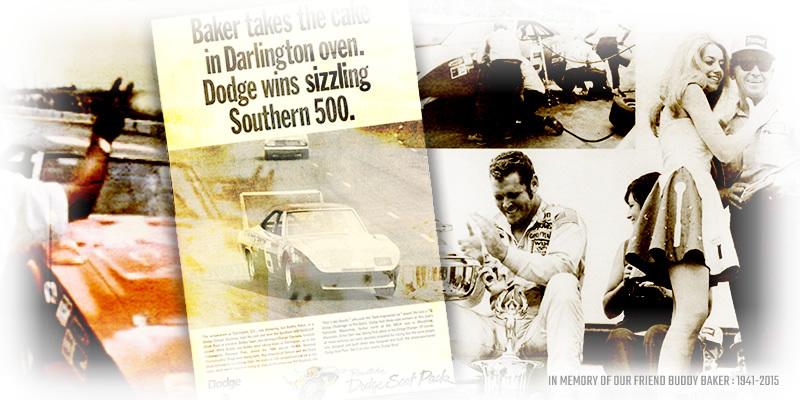 In celebration of the 45th anniversary of Buddy Baker's victory in the Darlington Southern 500 behind the wheel of his Cotton Owens Dodge Daytona on Labor Day weekend in September, 1970, Cotton Owens Garage has launched a new website to commemorate this historic event. The new website features the latest HTML5 technology and incorporates a "responsive" design that automatically scales to fit any screen size, including desktop, laptop, tablet or mobile device. The website includes a variety of new features and content such as exclusive photos, videos, audio interviews, memorabilia, and various items from the archives of Cotton Owens Garage. 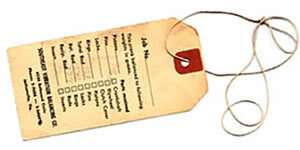 History buffs and enthusiasts from all forms of motorsports will be excited to find a new Scrapbook section of the website which includes one-of-a-kind vintage artifacts such as 1967-69 NASCAR Inspection Reports, 1973 NASCAR Race Car Construction Guidelines, 1957-59 Grand National Specifications, and from Cotton's personal collection you'll find an assortment of business cards, contracts, letters, correspondence, receipts, postcards, and a variety of ephemera saved from a lifetime spent in racing. You'll go back in time as you re-live some of the greatest moments in motorsports history. We hope you enjoy it as much as we enjoy sharing it with you. 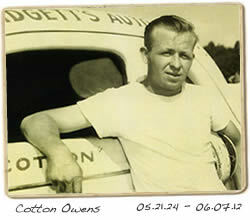 Everett "Cotton" Owens was named one of NASCAR's 50 Greatest Drivers during NASCAR's 50th Anniversary celebration. Younger fans may not be as knowledgeable about the South Carolina native's career, but its safe to say he earned his place on that list. His career began in what is now known as the NASCAR Modified Series in the early 50's. Racing on dirt seemed to come naturally to the young racer as he earned over 200 feature wins, including an incredible 54 overall victories and a string of 24 straight wins in 1950-51, a feat he repeated twice! Owens has said he preferred racing on dirt as opposed to competing on asphalt. He claims that he tried more than once to throw a car sideways into a corner on an asphalt track forgetting where he was. 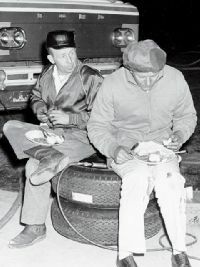 Cotton Owens won more than 200 NASCAR Modified division races and was a 3-time National Modified Champion during the 1950s before making the transition to the NASCAR Grand National (Sprint Cup) Series competition. 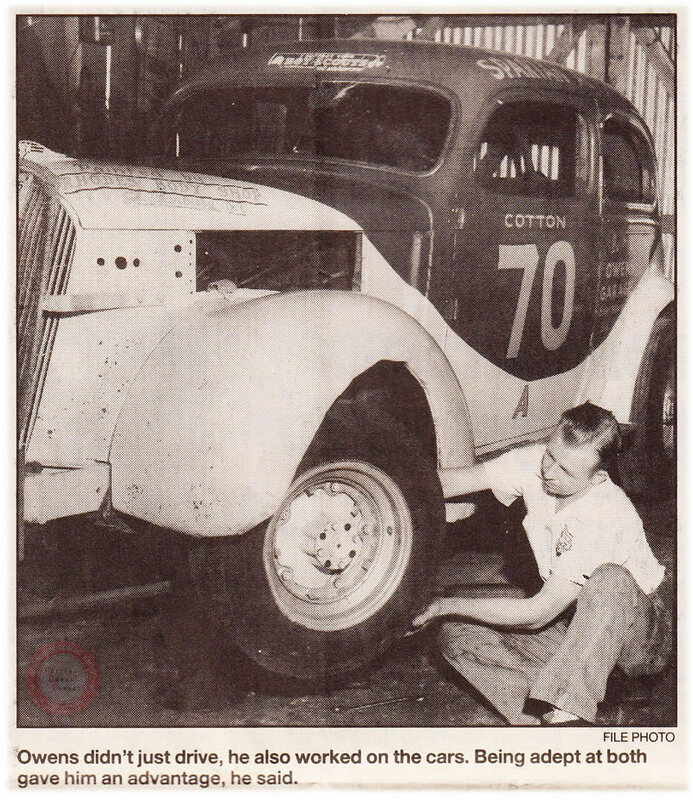 Cotton's NASCAR (Grand National) career began in 1950 when he ran three races. He finished 13th in the point standings and pocketed $1,100. He'd enter a handful of races over the next several seasons without a win. 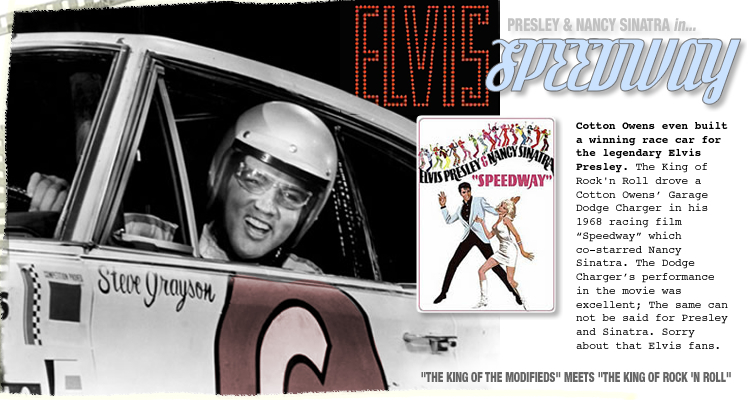 His first trip to Victory Lane came in 1957 at Daytona Beach and he followed it up with another win in '58. Cotton would become a 3-time winner on Daytona's old beach course. 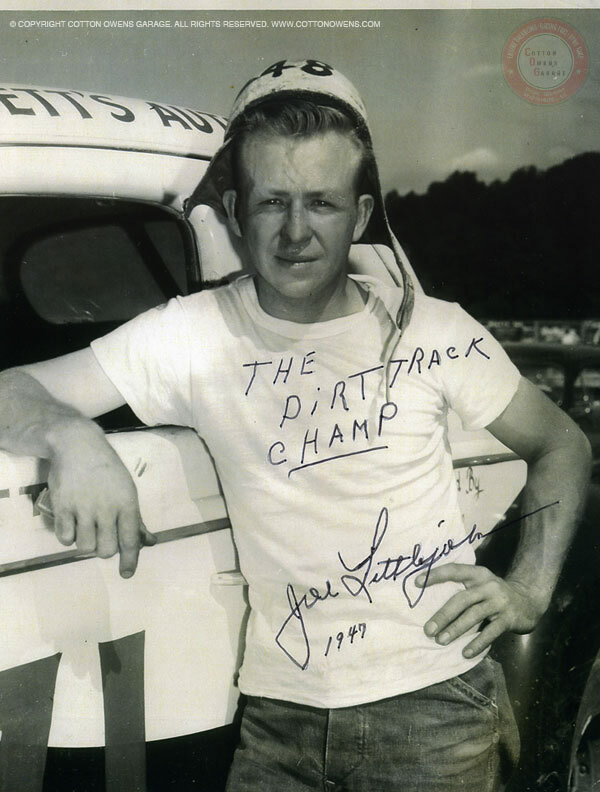 His most successful season was in 1959 when he won two races, notched 22 top-10 finishes (through 37 starts) and ranked second in the series season-long points chase for the Grand National championship to Lee Petty, despite the fact that he did not drive a full schedule and was known to show up for any big Modified race. Though Cotton won only one race that season Cotton was making a name for himself as a racer. For five straight years (1957-61), Owens captured at least one series win -- Owens claimed four wins in 1961, all of which were in his home state of South Carolina. 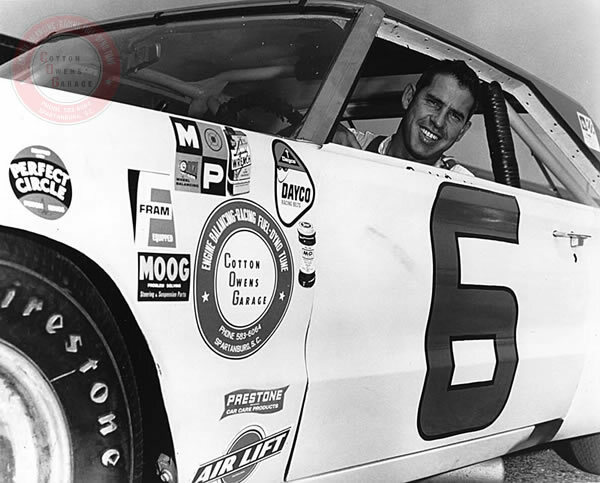 In 1961 he had his most productive season with 10 Top-5's and four wins in only 17 starts. After retiring from driving, Owens became one of the leading car owners on the circuit and won the 1966 Championship with David Pearson at the wheel. During their six seasons together Owens and Pearson combined for 27 wins in 170 races. 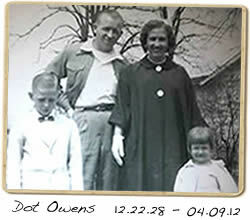 In 1970, Owens was inducted into the National Motorsports Press Association's Hall of Fame at Darlington (SC) Raceway. 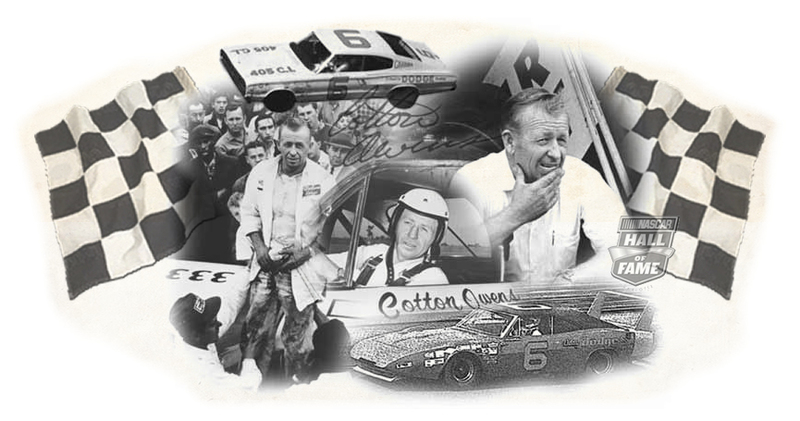 Cotton was fortunate to have some of the biggest names in the sport drive his cars over the years including David Pearson, Junior Johnson, Buddy Baker, Al Unser, Mario Andretti, Fireball Roberts, Ralph Earnhardt, Bobby Allison, Charlie Glotzbach, Pete Hamilton, Marty Robbins and many others. In total, as a car owner and as a driver, Owens' career statistics include 41 wins and 38 poles in 487 races. Everett "Cotton" Owens was one of the few to find success at all levels of this sport: from a winning driver to a winning car owner, Cotton Owens was truly one of the 50 Greatest. We would like to extend our sincerest Thank You to all of our friends and extended family for all the prayers, kind wishes and for remembering this fine lady who graced all of our lives with her special love and kindness. Dot Owens was perhaps the last of the original Southern Ladies of Racing who contributed so much to the sport while more importantly leaving a remarkable legacy of enduring warmth and affection to her family and all those who knew her. We will forever keep her in our thoughts and hearts. How Did Cotton Get His Nickname? Thankfully nothing was ever discarded over the course of Cotton's career, and we've recently opened the treasure chest and are proud to share this historic collection of priceless nostalgia with you. These vintage artifacts will take you back in time and help to convey those moments as they unfolded so many decades ago. You'll feel like time is standing still as you browse through an assortment of original receipts, postcards, pit passes, telegrams, personal notes, entry stubs, and items from Cotton's personal collection. View the treasure trove of ephemera. Take a trip down memory lane with a peek inside the Cotton Owens Garage. We've assembled a variety of photos that capture the way Cotton's garages appeared at the end of his life, stocked with decades of history and original artifacts preserved from a career in motorsports. You'll see antique car parts, high performance go-fast goodies, his workbenches and tools, the engine room, and pretty much anything and everything that Cotton collected throughout the course of his lifetime. View inside the Cotton Owens Garage. 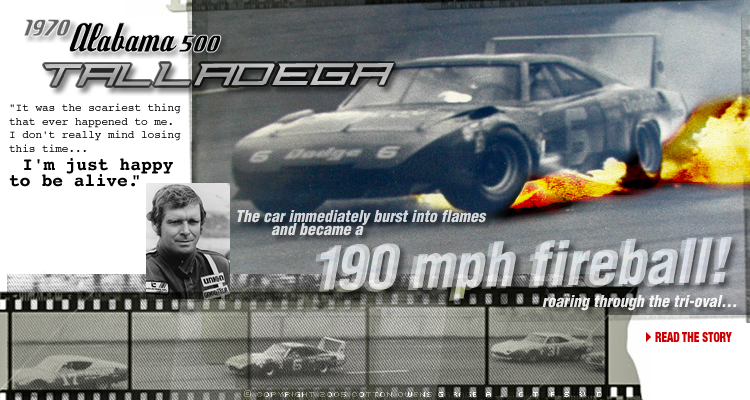 The past comes alive with these archival clippings saved from old newspapers chronicling the biggest moments in American motorsports. We've gathered the best from our collection and are glad to share them with our fans. NOW PLAYING! - Cotton Owens watches his driver, Chargin' Charlie Gloztbach, go for a spin at Darlington International Raceway, 1968. We've compiled a vintage movie clip from archival photos that delivers all the action in full Stratatomic black and white quality. The look on Cotton's face is priceless as he scratches his head in disbelief as Glotzbach backs his Charger 500 into the wall. Available for online ordering are exclusive Cotton Owens Garage merchandise, including t-shirts, sweatshirts, hats and caps, coffee mugs, magnets, wall clocks, license plate frames, keychains, and more!